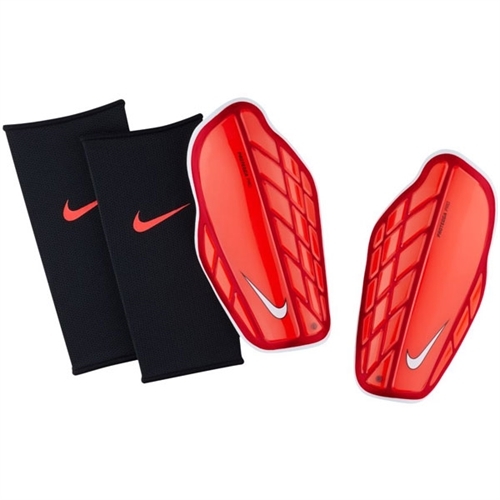 Nike Protegga Shield NOCSAE Shinguard DESIGN: Ventilated shell and extended foam for maximum protection and airflow. DESIGN: Anatomically correct, slip-on silhouette fits the shape of your shin. DESIGN: Durable shell is made of K-resin material for lightweight strength and optimal impact protection. FEATURES: Phylon-molded foam back diffuses impact and optimizes comfort against the skin. Low-profile construction provides protection without bulk.